When visiting campus, be sure to get a visitor's pass from Admissions (in the Admin building), Info Exchange (just inside the west door of the University Student Union), or the University Police Department (on the corner of Medary and Harvey Dunn). 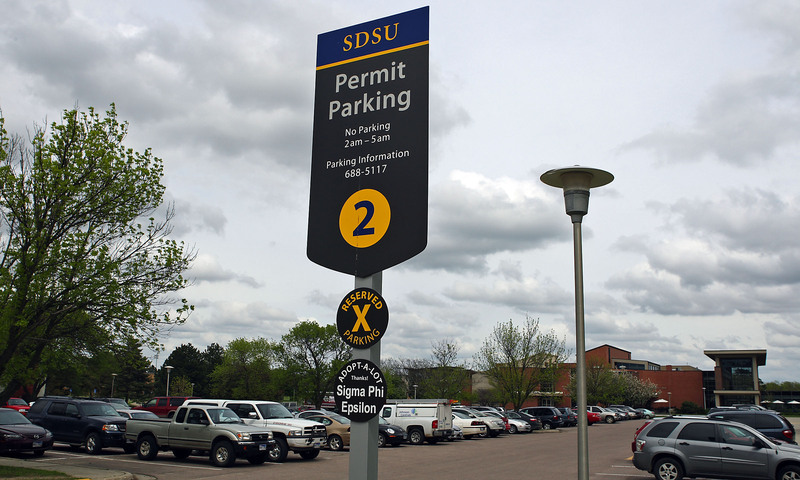 One-day passes allow parking in the designated visitor spaces (see campus map) or in any space not marked Reserved. After 4 p.m., parking lots become open to everyone, so a pass is not needed to attend a late afternoon or evening event. Just remember: vehicles may not be left overnight.